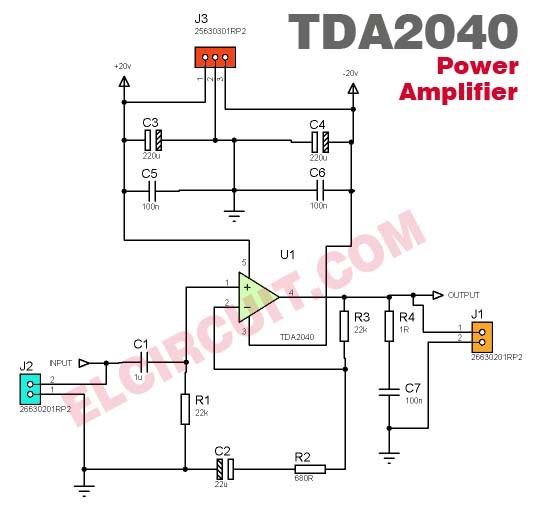 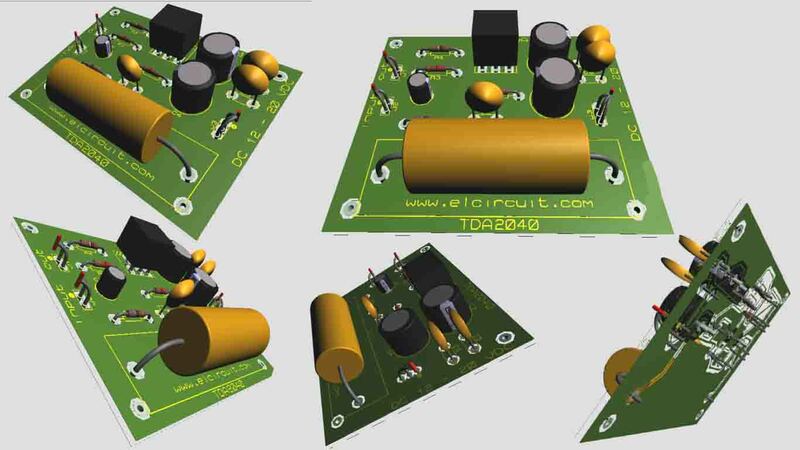 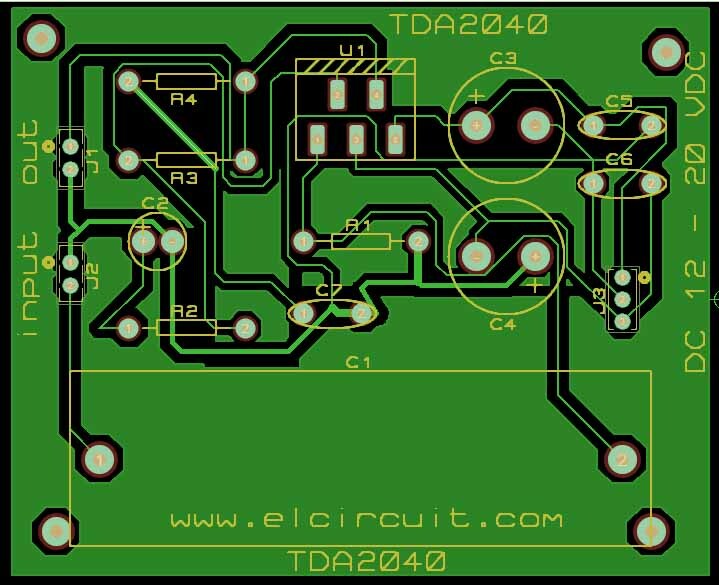 TDA2040 Power Amplifier Circuit is an amplifier circuit that uses a single type IC TDA2040 as the main amplifier. These amplifiers typically used for reinforcement on the car because of its practical and have gained sufficient. 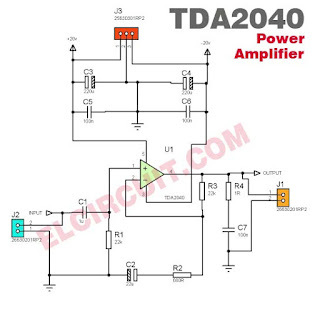 TDA2040 is a type IC monolithic with the operation of the class AB amplifier circuit. 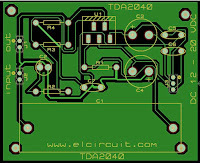 This IC TDA2040 inside is equipped with a protection circuit for a short circuit, especially on lines speaker output.